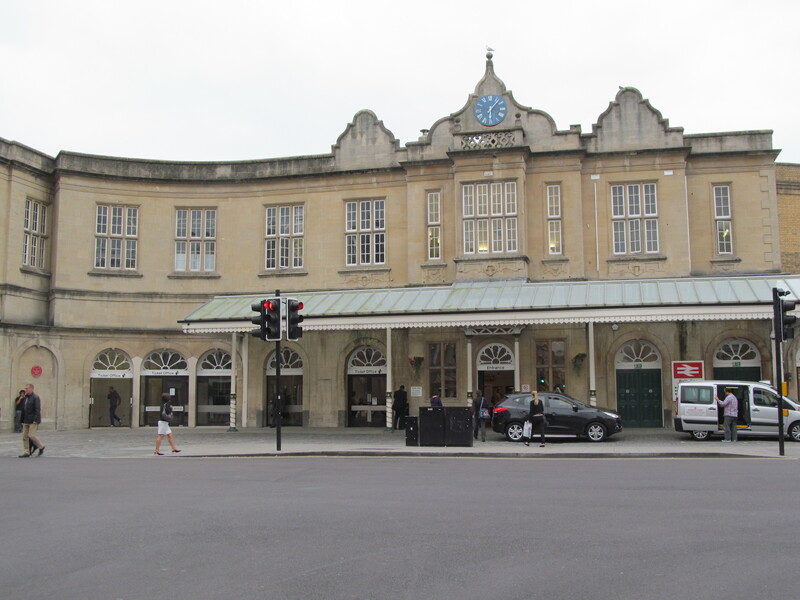 Built in 1841 and listed Grade II*, the station is the principal focal point of a string of distinguished railway work by Brunel. 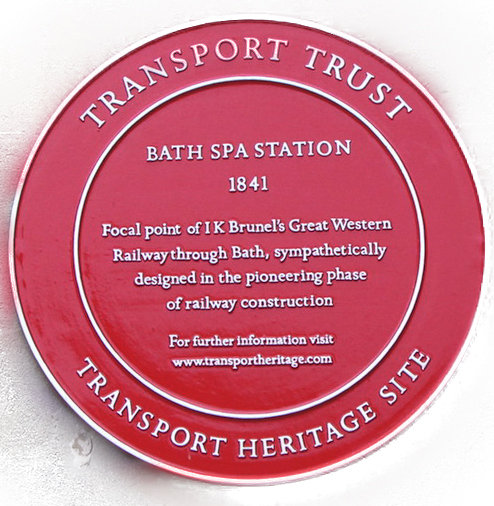 Brunel, in bringing his Great Western Railway through the famous Roman and Georgian city of Bath, had to pay special attention to its architectural character and the possible effect on its setting. 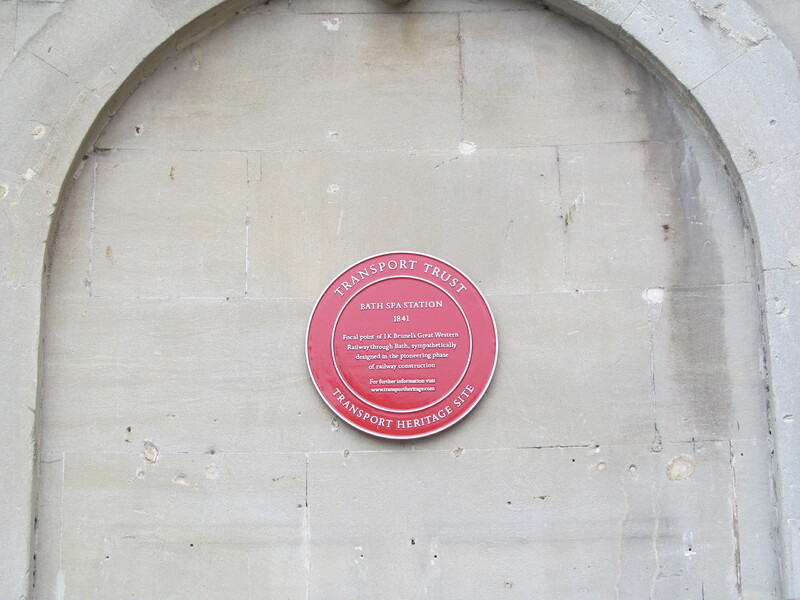 Characteristically for a man of his generation, he believed in using a variety of architectural styles according to the context and the client's wishes: so at Bath the great viaduct is in a castellated gothic style; the now-rebuilt 'Skew Bridge' over the Avon is gothic; the bridges next to Sydney Gardens are in a simple classical style, and the station itself is modelled on an Elizabethan country house. The present trainshed was built in 1897 but the station building is a two storey Jacobean style stone structure with a central oriel window surmounted by an ogee gable. This is flanked by two smaller ones set in a plain parapet. There are tall mullioned windows and Tudor doorways in an arc at one end of the facade. By road: In the southern part of the centre of Bath at the junction of Dorchester Street and Manvers Street.